Properties in Glen Aplin average 4.7 out of 5 stars. 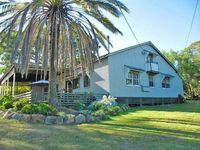 Abivilla-Cosy Self Contained House on 5 Acres of Granite Country-4klm to town. Property 21: Abivilla-Cosy Self Contained House on 5 Acres of Granite Country-4klm to town. 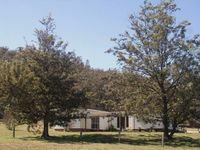 Property 28: Pepper Tree - country house - repeat visits!! wonderful guest reviews!! We thoroughly enjoyed our stay. Our young kids loved it and the house was very well equipt. Nice and warm with the two fires going too. It was great to be able to stroll down to the local tavern for a family friendly dinner. Highly recommend. We had a lovely time at Kintyre Cottage and would be happy to stay there again. A quaint home on a lovely property. We loved watching the kangaroos and enjoying the winter sunshine. The house was very clean and tidy. The gas heater and electric blankets made for a cosy and comfortable stay. Location is great, a nice sense of space and being in the country while very close to the convenience of town. Very pleasant and easy communication with the owners.